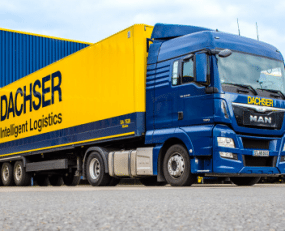 Dachser announced that it will launch 26 new LCL (less than container load) connections in 2018. For six of its existing services, Dachser is increasing the frequency of departures from every two weeks to every week. To date, Dachser has added the following fixed routes to its LCL groupage transports: weekly LCL services from Bremen to new destinations in the US (Los Angeles, New York, Chicago, Boston, Houston, Atlanta, and Charlotte); from Hamburg to India (Nhava Sheva and Chennai); and from Hamburg to New Delhi as of June 1. In the other direction, there are connections from Chennai and Nhava Sheva to Hamburg, which have been supplemented by connections from New Delhi and Bangalore to Hamburg. Another new connection is the weekly route from Shanghai in China to Santos in Brazil. And out of Antwerp, Dachser will run routes to Hong Kong, Veracruz, Singapore, Busan, and Nhava Sheva. DACHSER sees great potential in expanding its sea freight network for Dachser Interlocking: thanks to the close collaboration between Dachser Air & Sea Logistics and Dachser European Logistics, the company can offer its customers fully integrated logistics solutions comprising transport, warehousing, and value-added services. Dachser handles pre-carriage through its comprehensive European network. Shipments can be tracked continuously from the supplier in Europe to a recipient anywhere in the world.